Are you ready to sell your home? Or maybe you are just curious about how much your property is worth? We offer a no-obligation property valuation service. You can automate all you want, but only a local Hawaii Real Estate agent can value your property accurately. To find out the value of your property, either call 1-808-394-9779 or fill out the form. The right price is the most important step in selling your Hawaii House. If the price is correct from the first day it is listed on the market, your home will be sold much more quickly. Overpriced homes statistically take longer to sell and can even sit on the market for years., costing you money. Our Agents will use their experience and combine this with the use of our unique internal housing statistics to determine the optimal list price. Fill in the property valuation form on the right and we will give you a preliminary price estimate. When you are ready to sell, our Agent will discuss with you more details and tour your home giving you expert advice on presenting your home and fine tuning the listing price. First impression is everything and you only get one chance to impress your buyers. The better your home looks, the higher price you get. We will visit your home and help you identify home repairs and improvements. Keep in mind even small inexpensive changes can be very beneficial to you. We will prioritize the list of improvements that will provide you the best return on your investment. We can help you connect with reputable contractors and handy men. After this we can help you stage your house, if necessary. 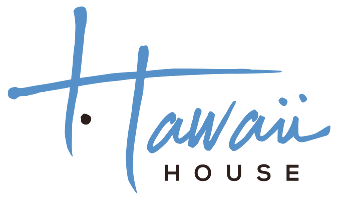 Hawaii House Agents are great in marketing and advertising. We have our own in house marketing department. From flyers to specialized advertisements, we can do it all. And we do it perfectly. Our marketing department will execute an online plan for your listing. Your home will be added to our award winning best in Hawaii real estate website, and we will execute a social media, email, direct mail and print marketing campaigns. We use professional photographers so your photos stand out. When you receive an offer or multiple offers, your Hawaii House Agent will discuss them with you. Our Agents negotiate with the buyers (agent) to bring both sellers and buyers together. Once your home has an accepted contract our Agents will make sure to keep tabs on all the deadlines to make sure the buyers follow their contractual obligations to a smooth closing. *When you are ready to sell, our Agent will discuss with you more details and tour your home giving you expert advice on presenting your home and fine tuning the listing price.